Perumda Pasar Jaya inaugurated Jakmart outlet at Tanah Abang Market Block B, Central Jakarta, Wednesday (10/31). This is the 30th Jakmart outlet that was inaugurated and operated.
" 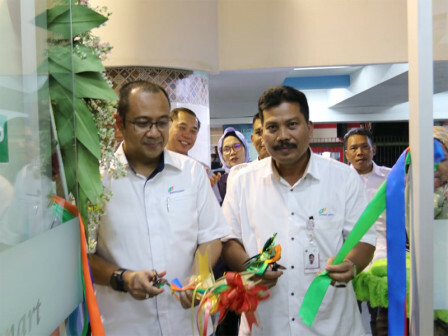 This outlet is one of our strategy to simplify food distribution system in Jakarta"
"This outlet is one of our strategy to simplify food distribution system in Jakarta," stated Arief Nasrudin, Perumda Pasar Jaya Director, Wednesday (10/31). He mentioned, this Jakmart outlet in Tanah Abang Market Block B is built on 78.08 square meters land with total 534 variations of goods and its stock will increase according to merchants and customers needs. He asserted, his party will continue to build more Jakmart outlets. According to him, building a large number of outlets will help people to get affordable food commodities more easily. "We are optimistic the existence of this outlet can help control food prices in Jakarta," he said.